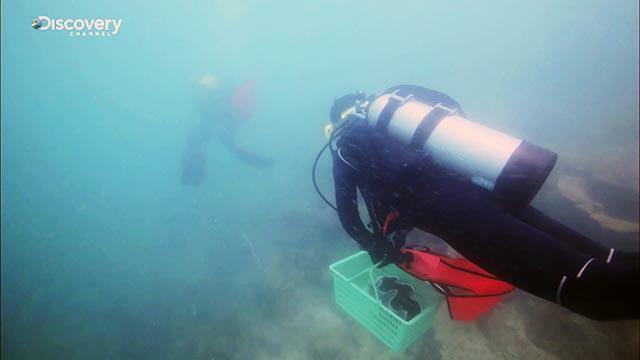 In a grocery basket, these divers carry giant clams. You won’t find them plated up at any one of the fine-dining restaurants in the city. Instead, they are being transported to their new home, a unique pair of lungs that are breathing new life into Singapore’s future. This is Sisters’ Island. Located just 5km from the mainland, it’s a lush playground for flora and fauna, half of which you won’t see from land. On the site of the second busiest port in the world, passionate eco-warriors are giving birth to an incredible marine park. Here are the highlights of all the action happening beneath the calm azure waters. 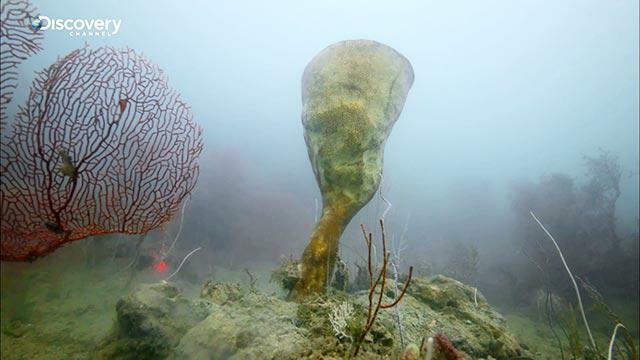 This goblet-looking underwater growth marked an unexpected miracle. Thought to be extinct for over a century now, the Neptune’s Cup sponge was rediscovered off the Singaporean coast on a random dive. This precious cargo will find a new home at the marine park, where scientists hope the revitalised species will flourish. 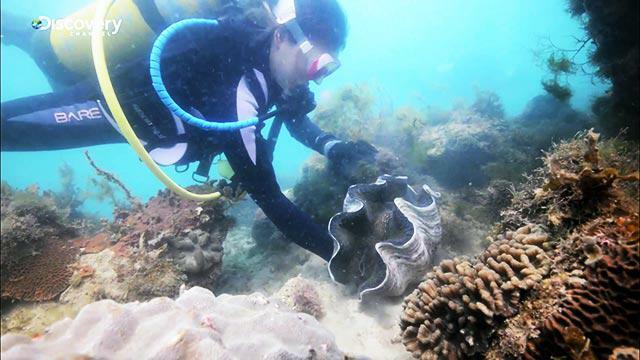 After many years of being nationally extinct, giant clams are making a return to Singapore shores thanks to the tender love and care of Neo May Lin. The marine biologist has dedicated her life to nursing these important building blocks to healthy reef ecosystem back to life, one thorough scrub at a time. Like a proud mama, she is all-smiles as she sends her babies back into the wild at Sisters’ Island. 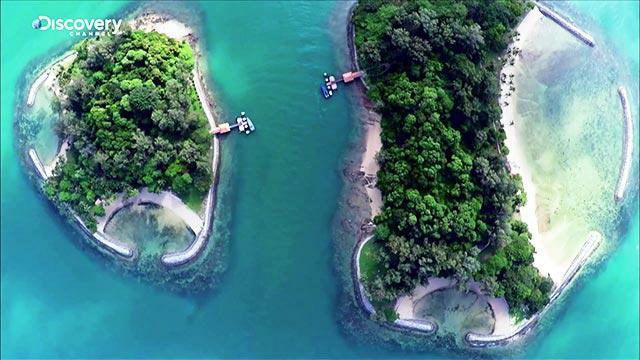 When it comes to diving islands in Southeast Asia, Singapore is far from a go-to destination. But underneath the busy shipping lanes, an estimated thirty percent of the world’s hard coral species call Singapore home. They are the keystone animals for a rich seabed, one that locals will finally get to see with the guided dive options available at Sisters’ Island. Singapore has built its name for its glittering cityscapes. It’s time the world got to know a side of this mighty city-state previously unseen, and the true treasure that lies beneath. ‘Birth Of A Marine Park’ is part of our newly launched channel in collaboration with Discovery Channel Asia. Spotlighting unique stories across Asian countries like Singapore and Japan, explore more fascinating documentaries here! 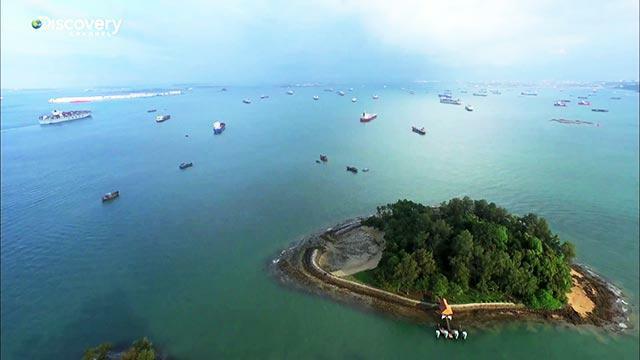 Now, watch how Singapore is feeding an island of foodies in a country that has no produce. They’re growing a farm in ‘Growing Roots’! A Malaysian Asks Singaporeans About A Song. The Replies Are Surprising.